Will the TPS Program Be Phased Out Under Trump? An El Salvadoran man currently residing in Baltimore, Concepcion Morales, worries that he won’t be able to continue to pay for his son’s tuition at Johns Hopkins. A Haitian woman living in Miami, Umaine Louis Jean, who has been in the US for 20 years, worries she will be separated from her American husband and two children. A man from Honduras, Donald Posadas, a father of three, worries about losing everything he has worked for over the last 22 years while living in the US. What do these three people have in common? They are all living in the US under Temporary Protected Status (TPS). And if the Trump administration’s decisions not to renew TPS extensions and designations for several countries are upheld in court, their lives will change dramatically. Ten countries currently have TPS designations. Six of these designations will end by 2020. The Trump administration has terminated the TPS designations of Haiti, Sudan, Nicaragua, El Salvador, Nepal, and Honduras since January 2017. These terminations have 12- to 18-month wind-down periods. Syria, Yemen, Somalia, and South Sudan have had TPS extended for 18 months, but were not redesignated, meaning that foreign nationals arriving in the US after the designation date are not eligible for this special status. The bottom line is that the current administration’s ending or not redesignating TPS for the latter countries could impact as many as 300,000 TPS holders living in America. TPS supporters assert that, up until now, the program has historically been extended and redesignated in accordance with the law under both Republican and Democratic administrations. They view the recent actions by Trump as a radical departure. Trump administration officials argue that the original conditions for granting temporary status in the US have improved in each of these countries, and that the White House has the discretion to revoke this status when that happens. One strong proponent of ending the status has been Chief of Staff John Kelly, who reportedly has said that the changed policy will help the White House achieve its goal of dramatically reducing the number of immigrants in the US. The change also is backed by senior officials in the Department of Justice, who have clashed with State Department staff, many of whom feel revoking TPS will put immigrants with long ties to the US in grave jeopardy if forced to return to their home countries. Finding conservative, libertarian, or business groups that support revoking TPS is difficult. Indeed, the US Chamber of Commerce has publicly endorsed retaining the TPS protections, warning of workforce disruptions if hundreds of thousands of immigrants are forced to leave the country and their current jobs. Recent polls also show that the majority of the public supports extending TPS protections. As it turns out, one of the few groups willing to speak in favor of these mass expulsions is the Federation for American Immigration Reform (FAIR), an anti-immigrant organization characterized by the Southern Poverty Law Center as a hate group. “[The extensions of TPS] is basically an abuse of this country’s generosity and the administration was absolutely right to put an end to it,” Ira Mehlman, FAIR’s Media Director, told WhoWhatWhy. Opponents of TPS extensions argue the program was meant to be only a temporary reprieve for the affected foreign nationals. 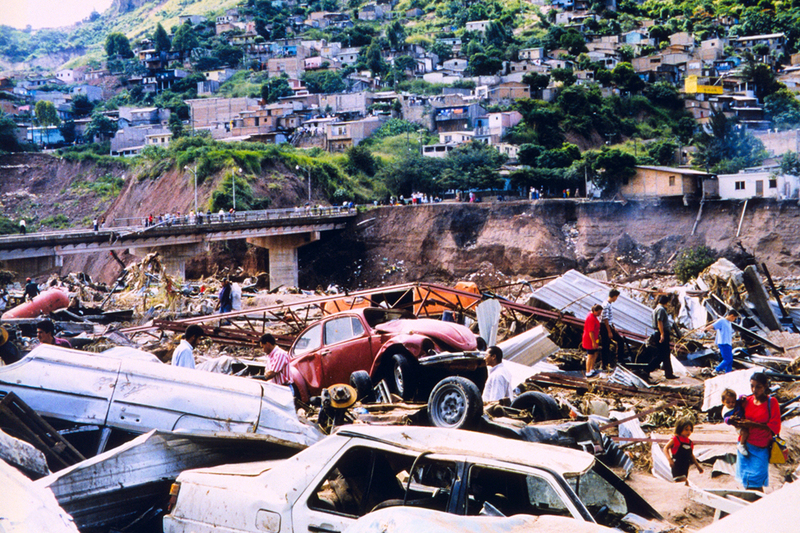 Under the program, they would get temporary respite while their countries were given time to recover. They maintain that TPS holders knew from the start that the agreement only allowed them to live in the United States temporarily. Advocates see the issue of TPS extensions less in the legal details and more in what they view as broader humanitarian terms. “With 300,000 US-born kids, what happens if the parents are deported, will the kids leave or stay? Will these children become separated from their parents?” Edwin Murillo, organizer for the National TPS Alliance, asked WhoWhatWhy. Given the recent story of hundreds of migrant children being separated from their families and held in cages, the spectre of even more families being separated looms large. Having US-born children, though, does not give parents the right to stay in the country after they have accepted the conditions of the TPS agreement, Mehlman asserted. But proponents see that argument as cruel and clinical. They view the denial of TPS extensions as fundamentally unfair to the hundreds of thousands of TPS holders who have raised families and established deep roots in the United States (see inset below). A Boost for or Drag on the Economy? Advocates claim that TPS holders pay out more in taxes than they receive in services and that blocking TPS extensions would cost Social Security $6.9 million a year. They also state that the US would lose about $4.5 billion each year in gross domestic product if TPS holders are deported. “TPS holders have been living and working legally in the United States for twenty years … They are entrepreneurs and business owners … an important part of the United States economy,” Murillo said. TPS supporters argue that the Trump administration’s hostility to the extensions of the program are racially motivated. They cite his comments about “shithole countries” and wanting more immigrants from nations like Norway. In making his decision on a federal court case challenging the administration’s blocking of TPS extensions, a federal judge reached the same conclusion. Indeed it was reported that Trump made his infamous comment while specifically discussing with lawmakers under what conditions Temporary Protected Status for immigrants from El Salvador, Haiti, and Honduras might be renewed. Opponents claim the minute there is any legitimate enforcement of immigration laws, anything that requires people to honor an agreement they made when they accepted TPS, the race card is played by advocates. Yet in a key court case brought by advocates to stay the administration’s orders to block TPS extension, the argument that blocking extensions would be cruel to the children of TPS holders carried a lot of weight. For TPS holders, the current debate on extending TPS status is anything but academic. If the Trump administration’s policies stand, there will be real-life consequences for hundreds of thousands of TPS holders. Donaldo Pasadas has been a TPS holder for over twenty years, after leaving Honduras as a young man. Since he has been in the US, he has gotten a job as a bridge painter, raised a family of two girls and one boy, and been active in his local church. “After all of this I never thought I was going to be in this situation where I could lose everything, everything I worked for,” Pasadas told TPS supporters at a September 25th, rally in Washington, DC. Another speaker and TPS holder from this same rally, Umaine Louis Jean, originally from Haiti, has two sons. Her fourteen-year-old is just starting high school while her eighteen-year-old is just starting college. She wants to see them grow up and be educated. “They are upset, they don’t want me to go back to my own country. They want me to stay here and take care of them,” she said, when asked how her sons reacted to her possible deportation. William Martinez came to the US from El Salvador almost twenty years ago when he was ten years old. He attended college and is now a certified welder, ironworker, and foreman at a steel-wrecking company. “I know the United States more than I know my own country,” he said at the September rally in DC. Ismael Rivera, a TPS holder who lives in Omaha, Nebraska, has a similar background to other TPS holders. He has held down the same job for eleven years, owns a home, and pays taxes. And, he says going back home to El Salvador would not be safe. He said if people like him are sent back to El Salvador, they will be targeted by thugs who think Salvadorans returning from the US have money. “Those returnees who don’t pay up ‘disappear,’ he said. For these and hundreds of thousands of other TPS holders, the ramifications of deportation for their families and themselves could be quite severe. In a decision handed down on Wednesday, October 4, presiding judge Edward Chen blocked the Trump administration’s move to end Temporary Protected Status for more than 300,000 nationals from El Salvador, Haiti, Nicaragua, and Sudan. In his ruling, Chen concluded that TPS holders and their children will “indisputably” suffer irreparable hardship and harm by the Trump administration’s actions. Chen wrote that TPS recipients with US-born children could face a difficult choice: Bring their children with them — “tearing them away from the only country and community they have known” — or leave them behind in the US. There have also been charges from TPS supporters that DHS was aggressively trying to uncover any criminal records of Haitian TPS holders in order to justify ending their protections. “There is pretty good evidence that the Trump administration and Kirstjen Nielsen, they want to [get back to a] white America again,” Murillo stated. But even opinions in the White House on whether to renew TPS extensions are sharply divided. There has been controversy within the ranks of the Trump administration on the justification for terminating TPS extensions. In August, a story on these disputes via interagency emails made the news. The emails revealed that senior US diplomats and experts at other foreign agencies warned that terminations of TPS extensions would have dire humanitarian consequences. But in many cases, their concerns were overruled by more senior administration officials. In one email, one senior DHS official strongly weighed in against terminating the TPS extension for Sudan, stating that the country remained too unsafe for individuals to return. “The memo reads like one person who strongly supports extending TPS for Sudan wrote everything up to the recommendation section, and then someone who opposed the extension snuck up behind the first guy, clubbed him over the head, and pushed his senseless body out of the way,” Francis Cissna, later a director of US Citizenship and Immigration Services, said. Advocates have seized on the controversy to further their case. Gang violence, persistent political turmoil, and high homicide rates are all offered as evidence that conditions have not improved in countries covered by TPS. 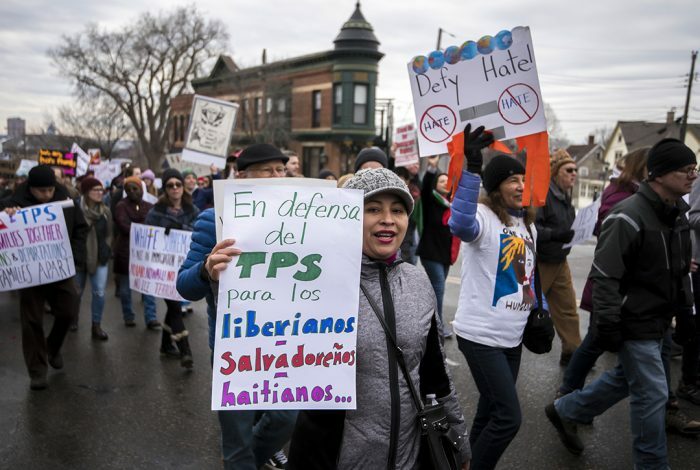 “TPS should not have been canceled for Honduras, El Salvador, or Haiti unless we believe human life is worthless and these people deserve to live lives in misery and despair,” Jorge-Mario Cabrera, spokesman for the Coalition of Humane Immigrant Rights, said. And a recent Washington Post article suggests the administration, by canceling TPS extensions, is hoping to push out US-citizen children along with their parents. More specifically, the article details how the DHS was coordinating with the government of El Salvador as to how to enroll these children, who are US citizens, in local El Salvadoran schools. But these arguments have not moved TPS detractors. “We have more than fulfilled our part of that bargain (offering a temporary reprieve),” Mehlman said. In addition to salvaging the TPS program’s extensions, supporters have proposals to expand the rights of TPS holders. Their main legislative vehicle for this is the American Promise Act, sponsored by Congresswoman Nydia Velazquez (D-NY). The bill would allow TPS holders to apply for lawful permanent resident status to obtain a green card. It would potentially provide a path to citizenship for hundreds of thousands of TPS holders. But a little over a decade ago immigration reform proponents had much higher goals. Many other countries allow their foreign nationals a path to citizenship after just a few years, Murillo asserted. His statement is supported by at least one recent study. The Comprehensive Immigration Reform Act of 2007 would have provided a path to citizenship for an estimated 12 million undocumented immigrants. It failed to pass either chamber. “The reason these bills were defeated … is the US public is opposed to amnesty for illegal aliens,” Mehlman stated. This assessment is not backed up by some recent opinion polls. A Monmouth University survey found 76 percent of Americans continue to feel that illegal immigrants who have lived and worked in the US for at least two years should be given a chance to keep their jobs and eventually apply for legal status. But chances of that happening under President Donald Trump are practically non-existent. Instead of aspiring for citizenship, hundreds of thousands of people now just hope they won’t be torn from their families.